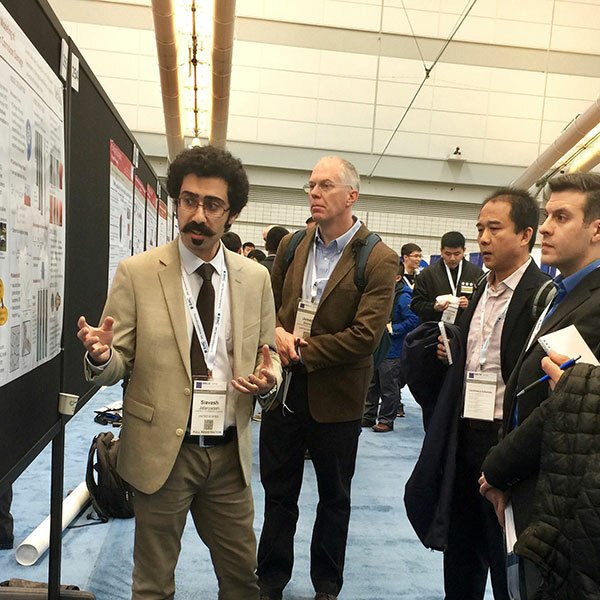 Siavash Jafarzadeh, Ph.D. student in Mechanical Engineering and Applied Mechanics, presented his research on Peridynamic Modeling of Intergranular Corrosion Damage at the American Society of Mechanical Engineers: International Mechanical Engineering Congress & Exposition in Pittsburgh, Pennsylvania, in early November. On Tuesday, Nov. 27, the College of Engineering awarded 14 graduate students each a $500 conference travel grant to help support their attendance at a technical conference where they are either presenting a technical paper or poster. To be eligible for the grant, students need to be in good standing in an M.S. (option 1) or Ph.D. program within the College of Engineering, have an accepted technical poster or presentation at the scientific conference for which they were applying for funds, and priority is given to those students whose conference occurs after the application deadline and students who have not received a conference travel grant in the last 12 months. Graduate Student Conference Travel Grants are due Feb. 15, May 15, Aug. 15, and Nov. 15. Students can apply now online for the next round of grants, and those applications are due Feb. 15.